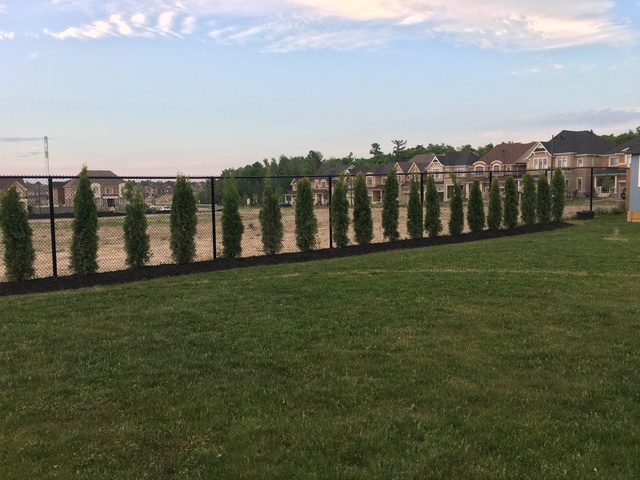 Reviews for Riverstone Irrigation Ltd. 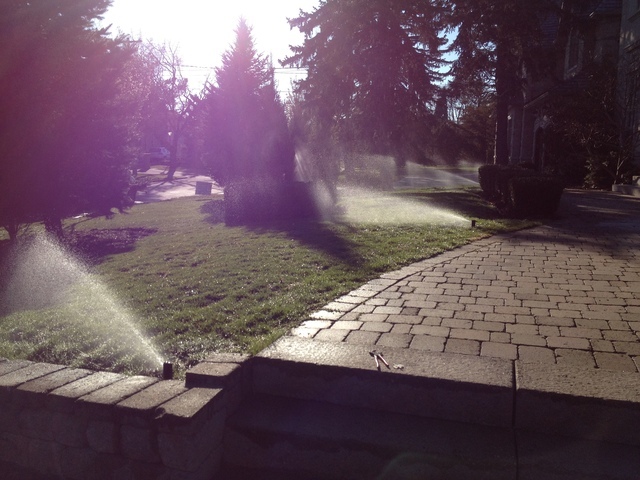 Install of sprinklers seemed to go well - team was efficient and neat, and did clean up after themselves. Sold us the oldest basic Hunter control equipment and the cheapest $10 rain head. Said we could have 4 zones (one free for future expansion) but only put in a 3 zone box. Had issues with the system, Nino was extremely rude to deal with and has no customer service skills. 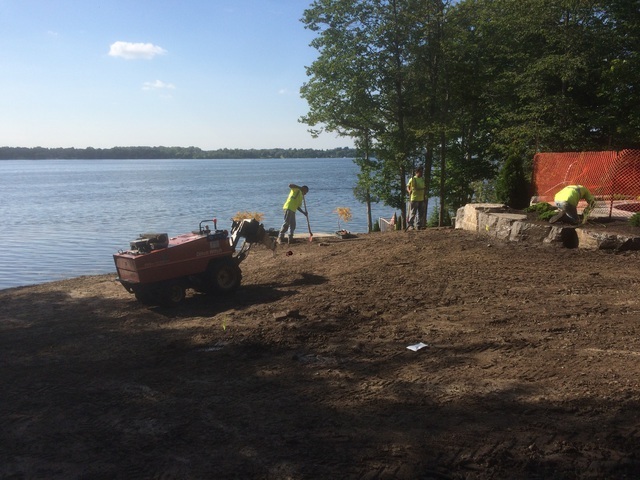 We were recommended to his company by our landscaper. We since found out the system was overpriced by at least $1,000. We had to get another contractor to upgrade our rain sensor as it constantly jammed and didn't work. They discovered the rain sensor was never wired correctly as Nino's crew took short cuts there to. We had to pay to upgrade our panel to wireless and also have another box installed for an expansion. Would NEVER ever use or recommend this company - and I hope people don't get ripped off by them in the future. 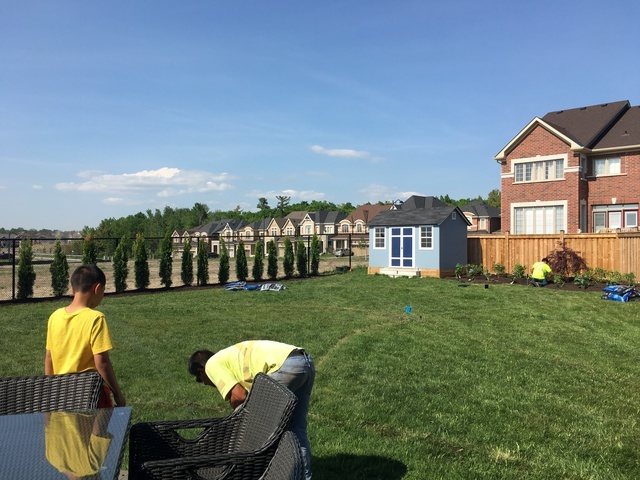 We hired Riverstone Irrigation to install our sprinkler system in the front yard and back yard in April 2018. We are so happy with the work that was done and cannot recommend them enough. They were the first ones to get back to us about a quote. And Nino came out that evening, when it was convenient for us. 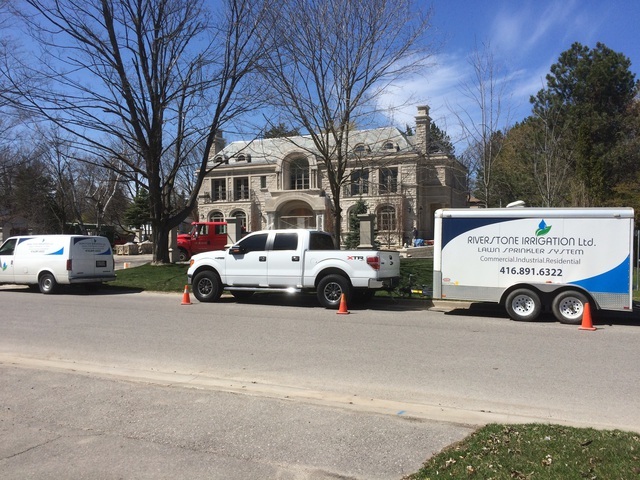 We received a few quotes but we chose Riverstone Irrigation, in large part because of our experience with Nino. We were very pleased by their work, their clean up and you could barely tell that they had been here. They thoroughly explained how to use the system. From start to the end, it was a very positive experience. 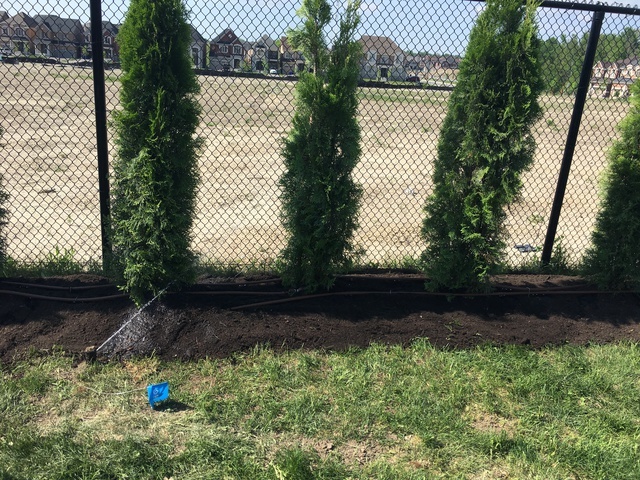 We hired Riverstone for our outdoor work based on the reviews I read. We were very happy with the results! Owner Nino, his son Stefano, DJ and Armin were hard working and conscientious. Our new lawn and rebuilt walkway look beautiful and the irrigation system works great. Nino said the job would take 2 days and he was right. They arrived on time and cleaned up when they left. We have recommended Riverstone to two friends already. We had 5 quotes and theirs was by far the best. Nino and his team are great. I spoke to Nino on the phone and he came the same day to look over my property and gave me a quote. He advised me of their process and how many sprinkler heads I would need. His quote was the same as other companies I spoke with. Nino and his team came 2 days later and installed the irrigation system. They came around the time he said they would come. He even called ahead to let me know that they were on their way. They finished the job a couple of hours ahead. He showed me how the system works, how to set it and use it. He programmed the system for me and ran the system so I can see it working and that every inch of my grass gets watered. Nino and his team are professional and provide great service. He answered all my questions and assured me if there are any issues just to give him a call and they would take care of it or if I had any questions. 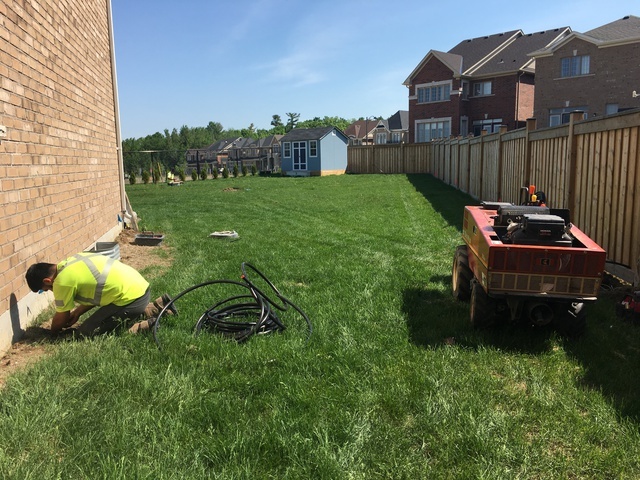 If you're looking for an Irrigation System I highly recommend Nino and Riverstone Irrigation Ltd.
Stefano and his uncle came to our house to move some heads of our irrigation system plus checking and repairing some aspects of the system. It is very refreshing to see someone of the younger generation doing such excellent, thorough and prompt work. Stefano and his uncle make a great team. They are prompt, courteous and competent. 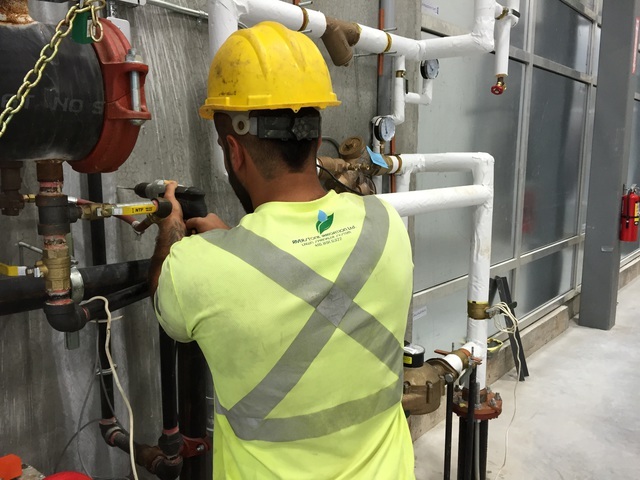 They pay attention to detail and spent a great deal of time repairing some aspects of the system at a very reasonable cost. I would highly recommend this company. Nino and son and team installed the new sprinkler system and the flower garden at my backyard in Aurora last week. The whole team are very knowledgeable and dedicated to the project. Especially Nino is the expert and core who advises, plans, organizes, implements and commits. The project was started and completed on the promised dates in a professional and efficient style. 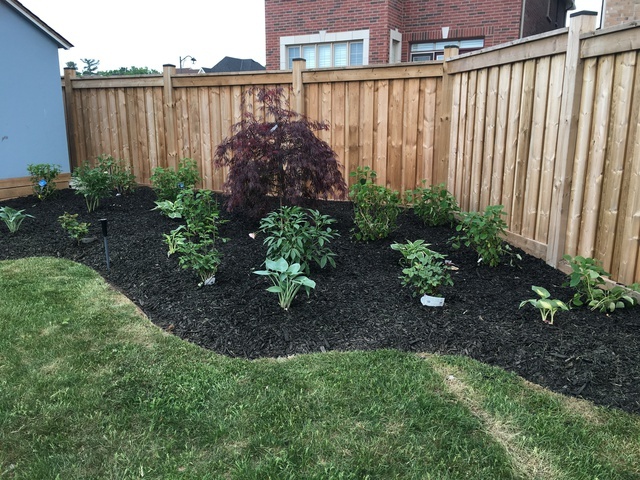 I’m very confident to recommend Nino and Riverstone to people who’s looking for irrigation services, because Nino and the company are the BEST. Riverstone is a promise that delivers services beyond the customer’s expectations. Thank you Nino and Riverstone for an excellent job! 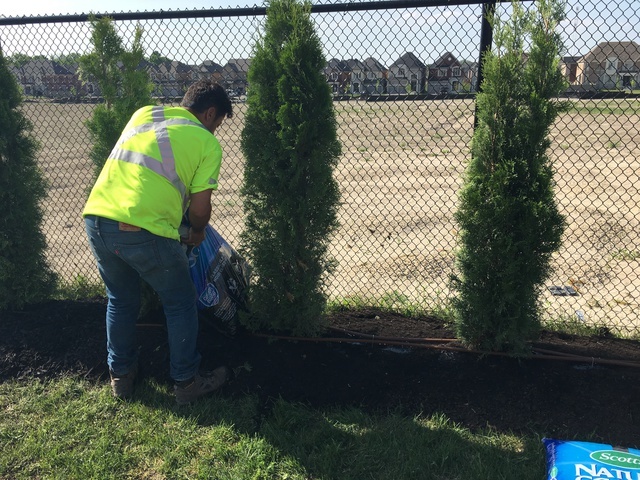 Nino and his team of professionals installed a sprinkler system at our home in Woodbridge. 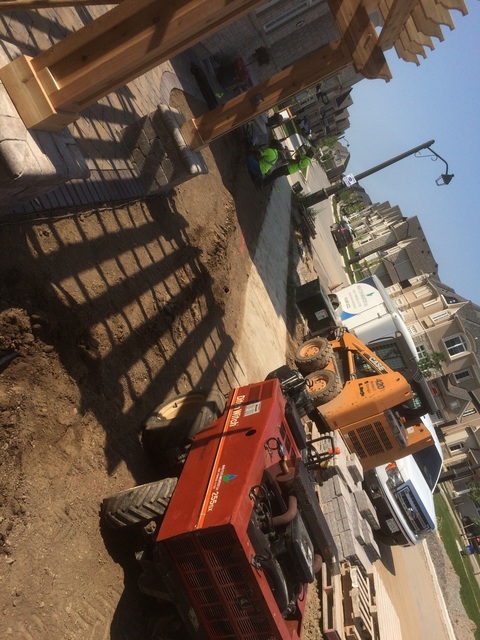 Not only is Riverstone is competitively priced, their customer service and quality of work really sets them apart! Nino was very patient as his work was integrated with other contractors. He came multiple times to make sure things were done right and working right after the install. Thank you Nino for such a great job! We got new sod and sprinkler system installed in our front and back yard. Nino, his son and the team were exceptional in their work. They went out of their way to ensure everything was done professionally and upto our satisfaction. I would highly recommend them them, as they are not only professional but very honest and have competitive pricing. Nino, Stefano and their crew were on time, efficient and courteous. They worked diligently until the job was done and cleaned up at the end. They carefully went over with us how the system worked before they left and followed up with us several days later to make sure we were happy. 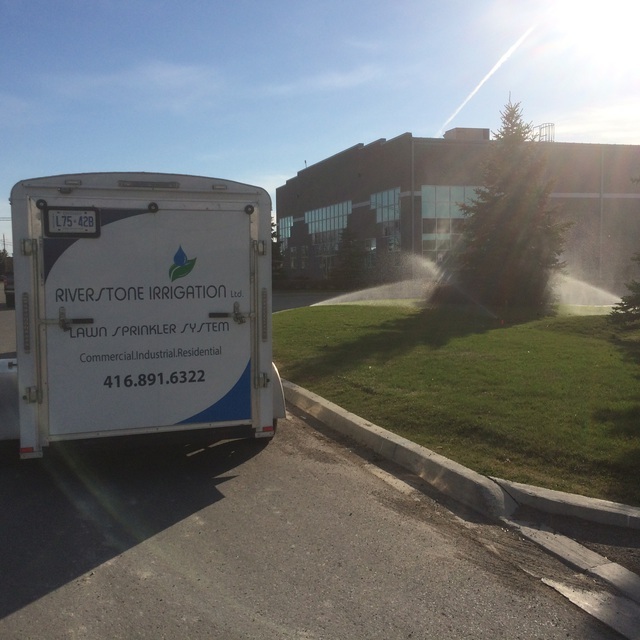 We are thrilled with our new sprinkler system and delighted to add our name to the long list of satisfied Riverstone customers. 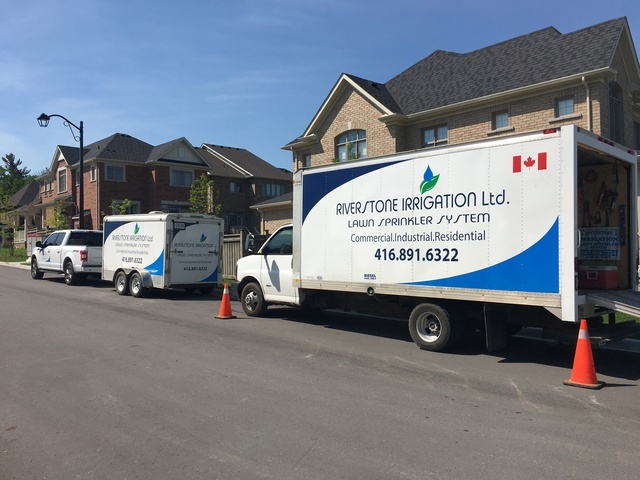 More about Riverstone Irrigation Ltd.
RIVERSTONE IRRIGATION LTD is proudly serving the GTA and surrounding areas, we provide affordable and high quality irrigation systems for residential industrial and commercial properties. 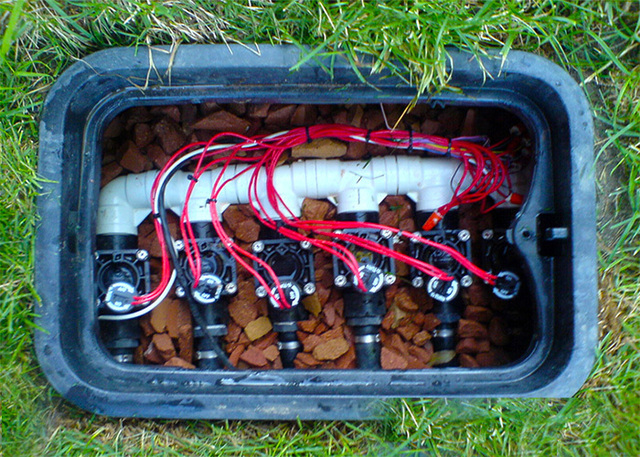 RIVERSTONE IRRIGATION LTD has been a family owned and operated business for over a decade. Our main objective is our customer service and their satisfaction. We have built a great reputation based on our commitment to provide unmatchable customer service and excellent workmanship, we take great pride in our work and offer professional product selection and warranties.